Take an AnimSchool class now! Why take a single class? Many animators, modelers or riggers may only need to take an intermediate or advanced course to supplement their current knowledge and make them more marketable. For them, taking an entire AnimSchool program isn't efficient or cost effective. At AnimSchool, we offer the unique opportunity to directly apply to a particular class and teacher of your choice, to get just the leg-up you need to open new doors. Our instructors work at animation studios like DreamWorks, Disney and Pixar and teach part-time with us, after hours. Here you have access to professional modelers, riggers, or animators for a full term to review your work and help you improve! The "Express" option allows students to take individual classes a la carte style to supplement their education at any point in their career. Students don't have to be accepted into a full AnimSchool program to apply, but they must apply to the school, and agree to the terms of service. Express students also must be accepted into the class by AnimSchool Review Board. The applicant may submit their work to be considered. Express students qualify for the AnimSchool educational discount software from Autodesk. 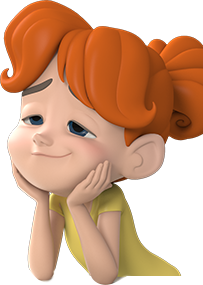 Express students may use AnimSchool character rigs and assets while they are students and after the class as well. If you are an Express student, you are still eligible to enroll in a full program at any time. AnimSchool is all online--on your computer, over high-speed internet. Using modern web conferencing technology, students can learn the craft of 3D computer animation right from home. To take an Express class, use the Apply button below. During the application process, specify which class you'd like to take.